Did you know that most people major on minors and minor on majors? In other words, most people invest their time, talents, treasures, and energy on things that have really little or no lasting consequence or value! While, at the same time, the things that really do have a lasting consequence or value receive little or no expenditure of time, talent, finance, or energy! Most people spend more time and effort planning their wedding, the wedding reception and the honeymoon than they do in planning their marriage! Some couples spend so much on the wedding, the reception and the honeymoon, that it would have been wiser had they kept the rice that was thrown for dinner! Most people will spend nearly fifty thousand dollars or more to provide an education for their children that will last a lifetime. But, these same people will not spend any time on Sunday morning to take their children to a Sunday School that cost them practically nothing financially! By the way, the Sunday School education will last for an eternity! In fact, what is learned in Sunday School could very well determine where the child will spend eternity! Most people spend money to purchase the “appearance of wealth” rather than properly investing money to achieve real wealth! Most people work for money, as opposed to making money work for them! Most people spend their entire lifetime, trying to make a living, only to discover in the end that they failed to make a life! Most people have no problems paying an extraordinary large salary to a lawyer who might tell a lie to get them out of legal trouble, or to a doctor who, they have to tell where it hurts before he can diagnose their illness. These same people have a problem paying a decent salary to a Pastor who will tell them the Gospel truth and watch over their very souls! 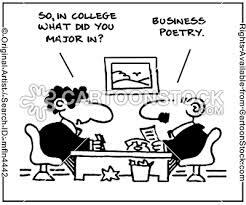 Even in the church, many times we are majoring on minors and minoring on majors! We major on “church-work” (choirs, boards and auxiliaries) but we minor on the “work of the church!” (evangelism, witnessing and ministry). Some preachers major on preaching a sermon that sounds good (having a sweet “whoop” or a catchy title) but minor on sermons that are doctrinally sound! Perhaps we would do well to remember the words of Jesus of Nazareth, when he asked: “What good is it for a man to gain the whole world, yet forfeit his soul?” What is your perspective on life? How are you spending your time, talent, treasures, and energy? Are you spending your time, talents, treasure and energy on things that really matter or are you majoring on minors and minoring on majors? This entry was posted in Inspirational Thoughts, Teachings and tagged first, importance, planning, priority, rank. Bookmark the permalink.